Hydraulic gear pumps are ideal to carry fluid around the outside of the gears to the outlet side of the pump. 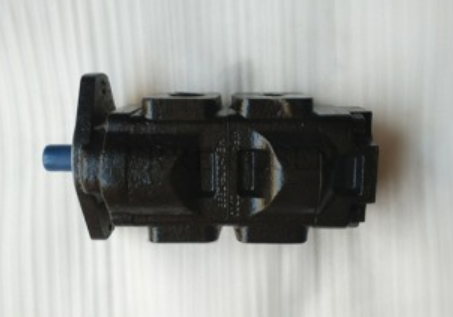 According to a gear pump supplier, they are especially external gear pumps that are used for high pressure applications like lubrication or steering in heavy equipment. Not to mention internal gear pumps that is used often in applications of small or closed places due to its very low noise level and smoothness of operation. One such kind of pump works by using the meshing of gears to pump fluid by displacement. They are one of the most common types of pumps for hydraulic fluid power applications; while these gear pumps are also widely used in chemical installations to pumps high viscosity fluids. Hydraulic gear pumps are the most vital type of gear pumps taken use in oil and gas industry and in petro-chemical domain to a large level. Fluid is vital in the processing that is carried around the outside of the gears to the outlet side of the pump. There are two working functions of these pumps. The first one is mechanical action that creates a vacuum at the pump inlet that allows atmospheric pressure to force liquid from the reservoir into the inlet line to the pump. Hydraulic gear pumps work in an easy way – mainly with one shaft driven by a motor or some other means. In addition to this, gear mounted to this shaft or driving gear that engages other gear or driven gear fluid on the inlet side flows into is also important that is trapped between the rotating gear teeth and the housing. Are you looking for heavy-duty and advanced hydraulic gear pumps in different models and types of use for various applications? These pumps are used for transferring the measured quantity of pressurized hydraulic fluid into a hydraulic system. These pumps are the most vital type of pumps that are used largely in construction, manufacturing and machining equipment. They are also taken into use for machine’s precision and its efficiency.